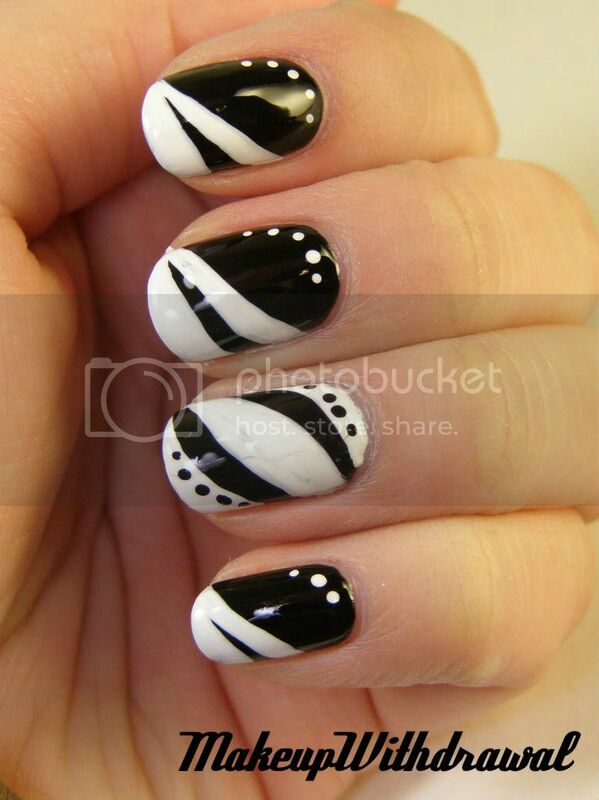 I used Revlon Black Lingerie and Konad Special White polish. Pretty easy to free hand. Oh boy, my cuticles have seen better days. They're looking quite rough, I need to treat them ASAP. 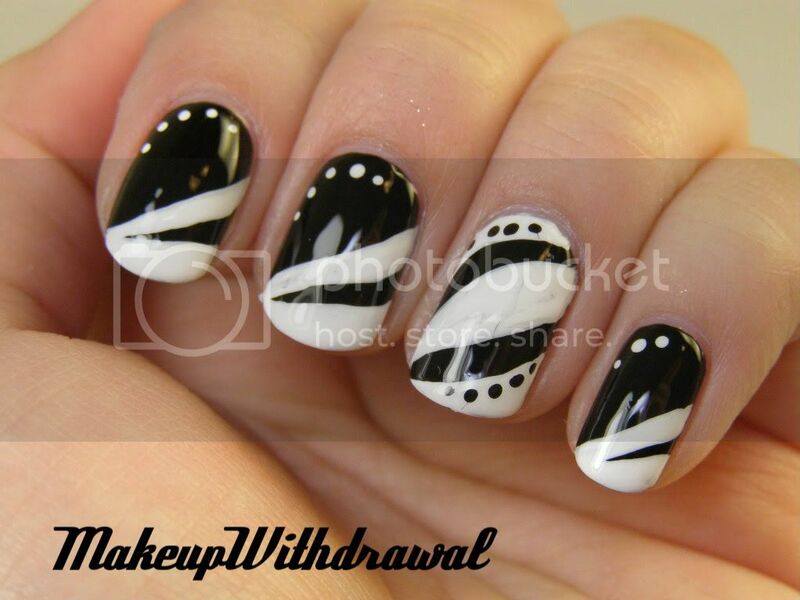 I'll be posting the Day 8 nails shortly, and be all caught up!